Beth joined Sheerwater Glass about three years ago when she left her career in teaching after having her two children. 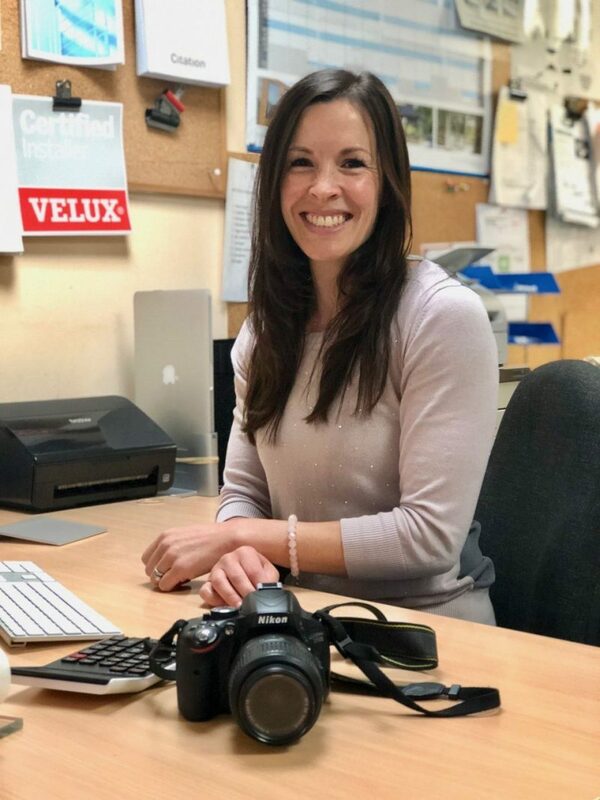 She needed a job that was going to be more flexible working around her busy family life, but also jumped at the opportunity to be able to support the family business. For the first couple of years, Beth worked from home, leading the marketing team. When her youngest son started school last September, Beth joined rest of the team in the office and now plays a far more active role. How would you describe a typical day at work? I love my job because my days vary from day to day. I never get bored! Half of my week I’m speaking with customers on the phones and helping to manage the accounts. The other half, I am out visiting customers, taking photos, writing articles and managing the website and social media. What do you enjoy most about working at Sheerwater Glass? I love meeting new people, so my favourite part of the job is visiting our customers at their properties to learn about their experience with Sheerwater Glass, and to photograph their finished installation. What skills do you require to carry out your job? I need to be organised and manage my own time efficiently. It’s important that I’m polite and communicate well with all of our clients. I love going to the gym and participating in classes. I don’t get much free time as it’s usually spent running my two boys around between clubs and parties!! But whenever I can I love going out on day trips with my family, holidaying in our caravan and meeting up with friends. Sit with a glass of cold white wine or a gin and tonic (I’m not fussy!) with my husband and friends!